We are a Los Angeles-based talent management and public relations agency, established in 1982, by entertainment and media industry executive Brad Lemack. We develop, redevelop and brand established, new and emerging talent. We create, implement, manage and maintain strategic PR and brand awareness campaigns for individuals, companies, not-for-profit organizations, productions and products. We have a legacy of special event creation, promotion and not-for-profit fundraising. We also offer unique and highly impactful career coaching services for actors. The company’s publishing division, Ingenuity Press USA, develops and publishes books for actors and for readers interested in the business of acting, entertainment and performing arts, including Lemack’s own three popular books for actors, The Business of Acting: Learn the Skills You Need to Build the Career You Want, first published in 2002, The New Business of Acting: How to Build a Career in a Changing Landscape, first published in 2012 and The New Business of Acting: The Next Edition, published in 2018. Lemack & Company is the recipient of numerous awards for its work in the not-for-profit sector, including six prestigious PRo Awards for Excellence from the Publicity Club of Los Angeles, the prestigious PRism Award from the Public Relations Society of America and two National Marketing & Communications Awards from Big Brothers Big Sisters of America. He was responsible for the episodic and series publicity for many of the company’s network television hits at the time, which included The Jeffersons, One Day At A Time, Archie Bunker’s Place, Diff’rent Strokes, The Facts of Life and Square Pegs, as well as several after-school specials, syndicated programming and movies for television. Previously, Lemack had been an innovative television and radio producer and broadcaster for many years in Boston. Creating the opportunity to do the kind of work he has a passion for with the opportunity to develop, redevelop and brand new, emerging and established talent, Lemack & Company has since established itself in many areas of talent management and public relations, including entertainment, personality and book publicity, business, corporate and non-profit, special event creation, production and promotion, and career/brand development, marketing and career coaching for actors. In 2010, Brad added to his academic responsibilities when he joined the faculty of North Carolina's Elon University Los Angeles Program, where he created and teaches entertainment PR and film unit publicity. In 2013, he also created and taught a strategic acting for the camera class at California State University, Northridge. He is also the host of the YouTube series Web TV series Inside the Business of Acting and is the creator and host of RerunIt.com, which celebrates "classic" television celebrities and American pop culture. He also developed and edited the book Acting and How To Be Good At It and Acting and How To Be Good At It: The Second Edition, by noted character actor, acting coach and another long standing Lemack & Company client, Basil Hoffman (foreword by Academy Award-winning director Sydney Pollack). Brad also contributed to the book of the musical BARK and has two other plays and one other book currently in development. Actors seeking management representation may submit relevant materials by e-mail, to: Submissions@LemackCo.coM. Perspective public relations, branding and private coaching client inquiries are welcome, by e-mail, to: Inquiries@LemackCo.coM. 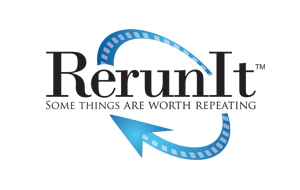 RerunIt.com celebrates American pop culture with a library of on-demand video interviews with television and film celebrities who have helped create, shape and define the media landscape, becoming icons in their own right in the process. This rare, exclusive content is repurposed from television and radio interviews dating back to the 1970’s. In an expanded and updated follow up to his popular first book, The Business of Acting: Learn the Skills You Need to Build the Career You Want and his second book, The New Business of Acting: How to Build a Career in a Changing Landscape, Brad Lemack offers both young, new-to-the-business and "working" actors a vital perspective on the changing landscape in which they seek to launch, grow and brand (or to reinvent and rebrand) their professional careers. 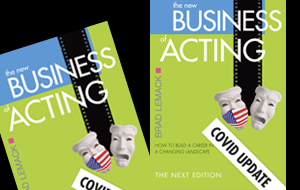 His third book, The New Business of Acting: The Next Edition, teaches readers how to navigate through and thrive in a continually changing landscape in an industry now challenged to redefine itself and how it does business. 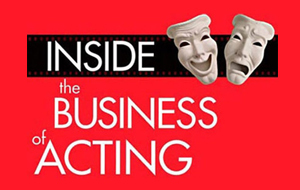 The Web TV series Inside The Business of Acting, hosted, Brad Lemack, features one-on-one conversations with successful, working actors and other industry professionals talking about their career journeys, turning points and lessons learned along the way. The on-demand series guides viewers through informational and entertaining conversations designed to empower young actors in the journeys of their own careers. We are a talent management and public relations agency established in 1982 by entertainment and media industry executive Brad Lemack. We development, redevelop and brand new and emerging talent. We create, implement, manage and maintain strategic PR and brand awareness campaigns for individuals, companies, not-for-profit organizations, productions and products. We have a legacy of special event creation, promotion and charity fundraising. We also offer unique and highly impactful career coaching services for actors. Join our Lemack & Company community and stay connected with us. Copyright © 2018 Lemack & Company. All Rights Reserved.